Can a franchisor really terminate? Whilst franchisors can control how franchisees manage their business, they cannot control how their franchisees manage their finances. And when a franchisee goes under, the first thing a franchisor will want to do is take control of the situation so as to protect the business and the brand. But changes to Corporations Act 2010 referred to as the new ipso facto provisions, due in July, may leave franchisors sitting on the sidelines able to do very little or nothing. Read more: Can a franchisor really terminate? The Snap-on Tools case – a warning to litigious franchisees! 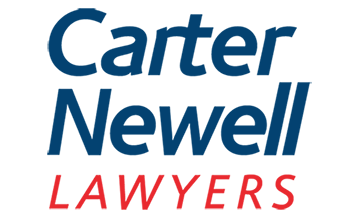 The NSW Court of Appeal recently dismissed a claim by a franchisee who sued the franchisor for loss or damage because the franchisee was not able to prove that the loss or damage was attributable to the franchisor’s misconduct. The case goes against the trend of many aggrieved franchisees successfully suing for damages based on allegations of the franchisor’s misconduct or misrepresentation. To read the full article click here, or visit www.carternewell.com. In the introduction to this column, we discussed in very broad terms how two people can form a contract for the sale of goods: one person offers to buy or sell, and the other accepts the offer. Simple! Effective January 1, 2014, the IRS now requires the use of a new form, Form 8822-B, for any entity that has a federal Employer Identification Number (FEIN) to report changes in the entity’s “responsible party.” The requirement to file Form 8822-B applies to all entities with an FEIN, including those which are tax-exempt. Although not required, Form 8822-B may also be used to report changes to an entity’s mailing and/or street address.